Box Text: THERE'S NO HELP COMING. A massive deep-space mining ship goes dark after unearthing a strange artifact on a distant planet. Engineer Isaac Clarke embarks on the repair mission, only to uncover a nightmarish bloodbath--the ship's crew horribly slaughtered and infected by an alien scourge. Now Isaac is cut off, trapped, and engaged in a desperate fight for survival. ■ STRATEGICALLY DISMEMBER the Necromorph enemies limb by bloody limb. ■ ZERO GRAVITY combat means terror can strike from anywhere. ■ UNCOVER THE HORRIFIC TRUTH of this shocking thriller. 04-14-2016 mrfoxhound Box Text THERE'S NO HELP COMING. A massive deep-space mining ship goes dark after unearthing a strange artifact on a distant planet. 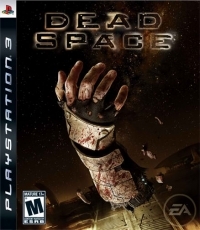 Engineer Isaac Clarke embarks on the repair mission, only to uncover a nightmarish bloodbath--the ship's crew horribly slaughtered and infected by an alien scourge. Now Isaac is cut off, trapped, and engaged in a desperate fight for survival. ? STRATEGICALLY DISMEMBER the Necromorph enemies limb by bloody limb. ? ZERO GRAVITY combat means terror can strike from anywhere. ? UNCOVER THE HORRIFIC TRUTH of this shocking thriller. 08-24-2011 solidgear3 Description Gamers step into a third-person sci-fi survival horror experience that promises to deliver the ultimate in psychological thrills and gruesome action. Set in the cold blackness of deep space, the atmosphere is soaked with a feeling of tension, dread and sheer terror. 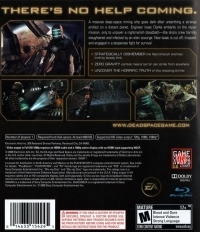 In Dead Space, players step into the role of engineer Isaac Clarke –an ordinary man on a seemingly routine mission to fix the communications systems aboard a deep space mining ship. It is not long before Isaac awakes to a living nightmare when he learns that the ship's crew has been ravaged by a vicious alien infestation. He must fight through the dead silence and darkness of deep space to stay alive. 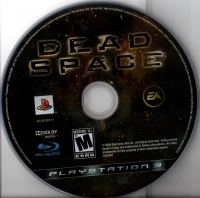 This is a list of VGCollect users who have Dead Space in their Collection. This is a list of VGCollect users who have Dead Space in their Sell List. This is a list of VGCollect users who have Dead Space in their Wish List.